A cruise ship out of Boston ran aground off the coast of Bermuda on Tuesday after it temporarily lost power, according to Reuters. No one was injured when the Norwegian Dawn lost power and hit a reef near King's Wharf according to the Norwegian Cruise Line company, which said in a statement that the ship's 2,443 passengers and 1,059 crew were headed safely back to Boston. While this situation was quickly resolved without too much trauma for the passengers,it brings to mind a few of the well-known incidents of a cruise ship losing power at sea. 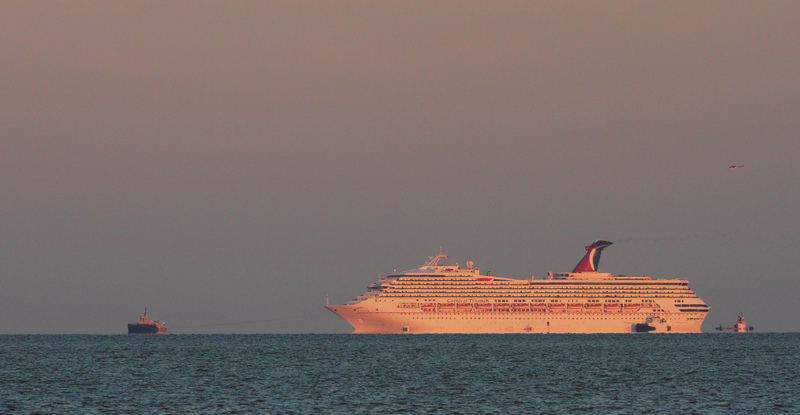 First, the famous 2013 Carnival "poop cruise." After a fire caused the Carnival Triumph to lose power, more than 4,000 passengers and crew were stranded for four days as it drifted at sea with no air conditioning, no electricity, and no working toilets. Weirdly, power failures happen surprisingly often aboard cruise ships, and the effects can vary from slight disruption to complete catastrophe. In April 2013, the Carnival Ecstasy, with more than 2,000 passengers aboard, lost power off the coast of Florida, according to USA Today. But in that instance, power was restored about 12 minutes later. Compare that to the nightmare that happened in 2010 aboard the Carnival Splendor, which is remarkably similar to the 2013 Carnival Triumph story. That ship, with about 4,500 passengers, lost power due to a fire and a mistake by a crew member, according to the Los Angeles Times. The Splendor had to be towed back to port, which took four days, during which there also was no electricity, no air conditioning, and no working toilets. A Carnival spokesman at the time told the LA Times that the problems on the two ships were overstated, though he did acknowledge that there were, in fact, problems. "There were numerous working toilets on the Carnival Splendor as the ship was being towed back to port," the spokesman said. As for the more famous Triumph trip, he said, "There were some toilets working as well as limited galley and elevator functionality." But it's not only Carnival cruise ships that run into power problems. In 2011, the Norwegian Sun cruise ship lost power in one of its engines, according to the Associated Press, and the crew changed the itinerary, skipping scheduled stops in St. Thomas and St. Martin. Passengers were given some compensation in that case, the AP reported, with a partial credit toward a future cruise. In fact, it's fairly out of the ordinary for a cruise line to offer passengers refunds, instead offering some kind of credit in the event of a cruise gone awry, according to the AP (although the Carnival Splendor passengers got full refunds). The best way to avoid being ship out of luck if your cruise has problems, the AP says, is to pay for traveler's insurance, which may at least help salvage some of the money you spent on a cruise gone wrong.